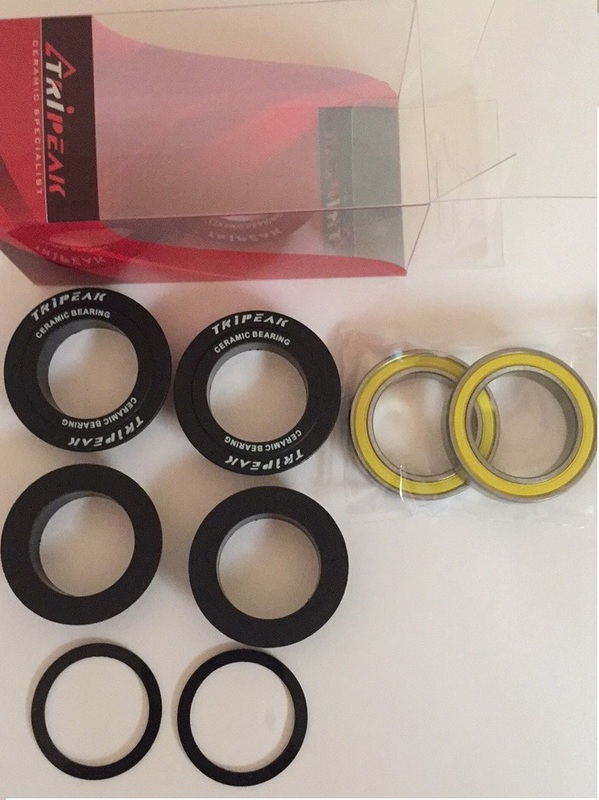 This Tripeak BB90/BB95 Bearing Kit comes with the highest grade German Kluber NB52 grease to give it the best corrosion protection possible. This also contributes to the lowering of friction when operational. Fitted with G5 Si3N4 ceramic balls for the ceramic option which reduces the weight by up to 40%, and non-contact rubber seals making the BB90/BB95 Bearing super smooth and extremely quiet. Available with two option either in Standard or Snug-fit version. Snug-fit version adopts the dual-layer technology to eliminate the creaking problems. Non-contact rubber seal, lowest friction.